With the anniversary of Osama bin Laden's death looming, American and European authorities told ABC News today that they fear al Qaeda may soon try to explode U.S.-bound aircraft with explosives hidden inside the bodies of terrorists. As a result, security at several airports in the U.K. and elsewhere in Europe and the Middle East has been substantially stepped up, with a focus on U.S. carriers. WATCH "World News with Diane Sawyer" for more. Additional federal air marshals have also been shifted overseas in advance of the anniversary. A year ago Tuesday night, President Obama announced on live television that bin Laden had been killed in a U.S. raid on a compound in Pakistan. Medical experts say there is plenty of room in the stomach area of the body for surgically implanted explosives. "The surgeon would open the abdominal cavity and literally implant the explosive device in amongst the internal organs," explained Dr. Mark Melrose, a New York emergency medicine specialist. For the last year, U.S. and European authorities have publicly warned that al Qaeda in the Arabian Peninsula (AQAP), al Qaeda's Yemeni affiliate, and its master bomb-maker, Ibrahim al-Asiri, have been designing body bombs with no metal parts to get past airport security. "We are treating the information seriously," John Pistole, administrator of the Transportation Security Administration, told ABC News in 2011. Asiri placed a bomb inside the rectal cavity of his own brother for a suicide mission aimed at Saudi Arabian intelligence chief Prince Muhammad bin Nayef in 2009. That bomb exploded prematurely, officials said, and the only casualty was Asiri's brother 23-yearold brother Abdullah. Asiri is also believed responsible for the "underwear bomb" with which Umar Farouk Abdulmutallab tried to take down Northwest flight 253 on Christmas 2009, and for the printer bombs in the failed cargo bomb plot of 2010. In public, U.S. officials say there is no credible information of an impending attack. Department of Homeland Security spokesman Peter Boogaard released a statement Monday evening saying, "We have no indication of any specific, credible threats or plots against the U.S. tied to the one-year anniversary of bin Laden's death." 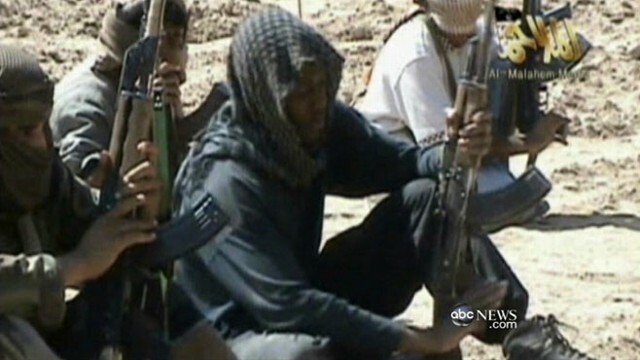 "AQAP continues to be al Qaeda's most active affiliate, and it continues to seek the opportunity to strike our homeland," said Brennan during a speech at the Woodrow Wilson International Center in Washington, D.C.
Brennan said bin Laden admitted al Qaeda had lost its way, agreeing that "a large portion" of Muslims around the world "have lost their trust" in al Qaeda. Confessing to "disaster after disaster" in al Qaeda plots, Brennan said, bin Laden urged leaders to feel to places "away from aircraft photography and bombardment."